McAtamney Cabinets have been helping people bring to life their new or updated kitchen, bathroom, laundry and all manner of custom joinery projects for more than 35 years. Family owned and operated, the company is led by Mark who's seen it all when it comes to designing and creating your dream project. From ideas and design, through to installation and removal of your old cabinets, Mark and his team will work with you to identify what works for your home... going beyond trends and fads - considering functionality, your day to day needs, style, budget and longevity! 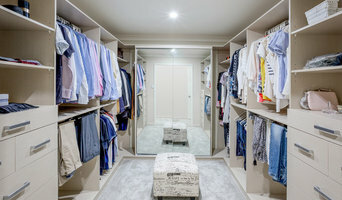 These can consist of new kitchen, bathroom (and ensuite), laundry, office area, custom shelving (book shelves, TV units, bars and display cabinets), outdoor BBQ areas and wardrobes (robes and walk-ins). We can also provide commercial joinery for reception areas, shelves and showroom cabinets. For over 30 years, Burgess Kitchens, a family owned and operated, award winning business, has crafted an excellent reputation for quality and design. Utopia Kitchens & Living is an exciting organisation changing the landscape of how living spaces in are utilised, furnished and appear in the domestic, commercial office, hospitality, health and education sectors. It is the creation born from over a decade of international involvement with the world's leading designers and manufacturers of kitchens, wardrobes, office & solid timber furniture, strengthened further through the relationships developed with industry leaders in the multi-residential, hospitality, education and health sectors of the construction market. Utopia Kitchens & Living have access to the manufacturing capabilities which combines the elements of wood, steel, fabric and polish within the one facility, creating tremendous design collaborations with our clients. We embrace architectural contribution, value client input, and produce quality products that perform...just a few of the unique values Utopia Kitchens & Living delivers to our clients. Joinery and cabinet makers are mostly known for their work in kitchens and bathrooms, but their skill set goes much further than that. It is important to understand the difference between carpenters and cabinet makers, which lies in the detail of work. Carpenters tend to work on larger structural projects and this is why many become builders, whereas cabinet makers are masters when it comes to the finer detail. 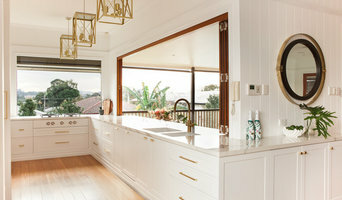 So if you’re looking for detailed woodwork like custom-made furniture for your living room or smart storage solutions, you’ll be sure to find a Fortitude Valley, Queensland cabinetry expert in the Houzz directory of professionals. 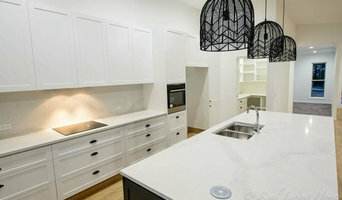 What Do Fortitude Valley, Queensland Joinery and Cabinet Makers Do? If you know what you want and are ready to take the next step, scroll through this page to find joinery and cabinet makers in Fortitude Valley, Queensland. As mentioned, you can browse their latest projects, read reviews and see how other homeowners rate their work, and message them directly. You can also look through Photos to find examples of joinery you like, then contact the professional who worked on them.